The villages Betina and Murter on the island of Murter were formed in the 14th and 15th century. Domestic population has practiced almost exclusively agriculture and cattle breeding since their inception. In the coming centuries, they expanded considerably their possessions by leasing the surrounding islands and the mainland as well as the Kornati and Žut – Sit island group. Owning a ship has become essential for every family. 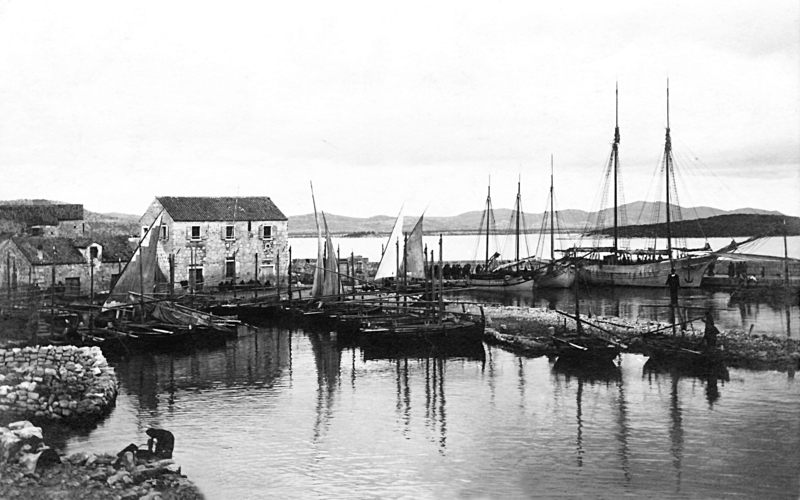 As far as we know, the first shipyard in Betina was founded by the shipbuilder family Filipi from Korčula in the mid-18th century, initiating the centuries-old tradition of building wooden boats. At the same time the shipbuilder family Uroda is very active in Betina along with the Filipi family. They mostly build wooden boats type gaeta, kaić, kuter (cutter), leut and bracera. Shipbuilding exists in continuity to this day. At the end of the 19th and in the first half of the 20th century, more shipbuilders lived and worked in Betina. They were building boats of different sizes and types, and up to 32 meters in length. The golden period of shipbuilding was in the 50s, 60s and 70s of the 20th century when approximately 150 workers of different professions worked in the shipbuilding industry. Building of wooden boats is still very active and present in Betina, with one large shipyard, three smaller and a few freelance shipbuilding masters.